The Southern Palmertown area stretches from Moreau Lake State Park in the north to Saratoga Springs in the south, and from Route 9 in the east to Route 9N in the west, including properties in Corinth and Greenfield. 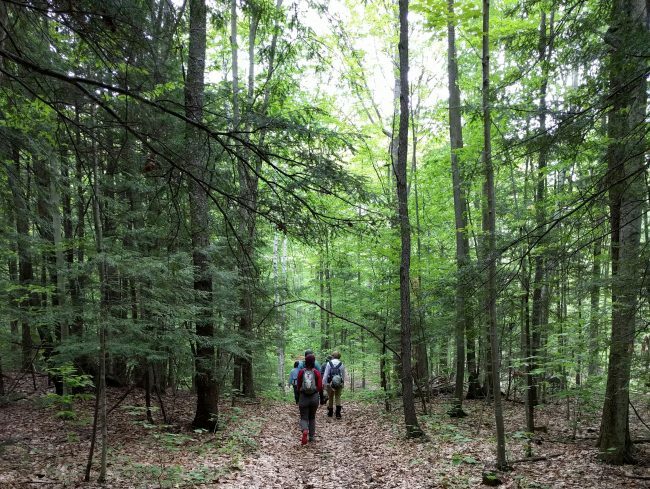 One important goal is to eventually create a trail network that will run the length of the conservation area, crossing some of the wildest and most natural terrain in Saratoga County. The area includes unfragmented forests which provide important wildlife habitat and timber, and protect the headwaters of the Snook Kill and Kayaderosseras Creek. Saratoga PLAN has been instrumental in planning land use in the entire area. A detailed landscape analysis identified the landscape’s high potential for groundwater recharge and resiliency, two important ecosystem functions. Southern Palmertown also contains existing public lands and trail systems, which can be linked together to create a long distance trail network connecting communities and providing recreation opportunities that span the landscape. Our goal is to develop a landscape-scale conservation strategy for the area that promotes community engagement and recreation opportunities while balancing ecological protection and community development. Already, there are wonderful public trails to take you from water level at Moreau up to the ridge of the Palmertown Range. And with the recent addition of more than 1000 acres of land adjacent to the park, along with the McGregor parcel, big strides have already been made heading south toward Lincoln Mountain State Forest in the Town of Greenfield. Daniels Road State Forest, at the southern end of the proposed trail network, already has an established network of mountain biking trails. The southern end of the trail will eventually link up with the Saratoga Greenbelt Trail, which in turn will be connected to other trail networks around Saratoga Springs and ones headed south and east to the Mohawk River/Erie Canalway Trail and the Hudson River/Champlain Canalway Trail. Saratoga PLAN, partnering with the Open Space Institute and Alta Planning and Design, conducted a series of community engagement events that brought citizens and experts together to explore the ecosystems of the area. These events were supported by funding from New York State’s Conservation Partnership Program for land trusts, helping to accomplish New York’s Open Space goals. The events were followed up by two surveys and key stakeholder interviews. 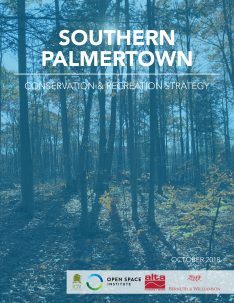 To learn more, read the resulting report: Southern Palmertown: Conservation & Recreation Strategy. To learn more about existing and proposed trails in the Southern Palmertown area check out our map, and please sign up for regular email updates.